Nights of the Creaking Bed is a collection of short stories by the Nigerian writer, Toni Kan. It consists of 14 short stories, one thing I find out all the stories have in common are their tragic ending, abuse and sexual content. But then again, despite the progress and development in Nigeria, sadly, issues like this are still recurrent. Nights of the Creaking Bed: is the story of a widow who preferred her bed to creak to loving her own children. told through the voice of one of her sons. I enjoyed reading all of the stories, however, I'd like to comment on the ones that somewhat moved me in no order of preference. The Passion of Pololo: A son caught his mother being unfaithful to his father, the image bothered him so much that in order to assuage the guilt, he decided to do the unthinkable. The Echo of Silence: is a breath of fresh air, it felt good to read about a funny situation after all the drama and the creaking of beds. also has needs that most of the times money, children and a successful carrier cannot just cover. All they need is to connect with their partner in the most intimate of ways. God is Listening is another tragic story with a sad ending. Quite disturbing. It gives one an understanding of how children who are orphans have very little or no chance of surviving in Nigeria. Onions is the story of a woman who forced her daughter to hawk onions on a Christmas day. The Devil's Overtime, a story of how children end up on the street. I was expecting a happy ending, however, at the end I realised the situation is a hopeless one. The Phone Call Goodnight just like The Echo of Silence is another breath of fresh air from all of the the grievous blow. Though, in the beginning, it doesn't read as such. The Car They Borrowed sheds light on the corruption and the prevalence of gender abuse in Nigerian society today. Sad Eyes, how a girl is rejected in love because she has three other brothers to look after without any support, the responsibility is too much in the country that when some men realise that not only are they going to marry a woman but also her whole family, they immediately become elusive. Age of Iron is more of a narrative on how it has all fallen apart and no one would be saved. I enjoyed reading all of the stories, at some point I thought my heart would shatter because of all the sadness, even so it didn't. 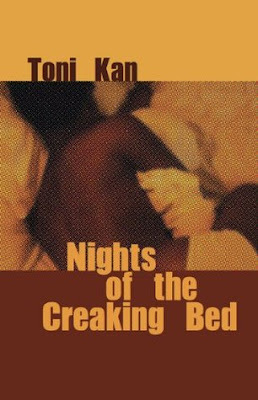 One of the reasons I looked forward to reading this novel is because Toni Kan is one of the few recognised Nigerian authors who writes, publishes and is based in Nigeria. As a result, his book has got this tinge of rawness that I find authentic. I recommend. I've heard Toni Khan mentioned a lot and I still haven't read any of his works. Looks like I'll check out this one. Thanks for the review. He has a new book now (published early 2017, I think). I assume you would have sen it now. It was on of the books I read this year and mentioned in that tweet of mine. The Carnivorous City. It was a treat. I thoroughly enjoyed it. Yes, I found out later he's got another book. Hopefully, I'll read it soon. Very interesting review. Can't wait any more to get a copy of the book.